Guess what, Binghamton? Saturday is Spring Fling, and if you are planning on skipping it, don’t. There will be rides. There will be games. There will be food that you probably have to pay for but, hey, your meal plan is running low anyway. Your day will probably start out with some casual drinking, and end with dropping your freebies while crowd-surfing. Don’t have enough things to keep you occupied? 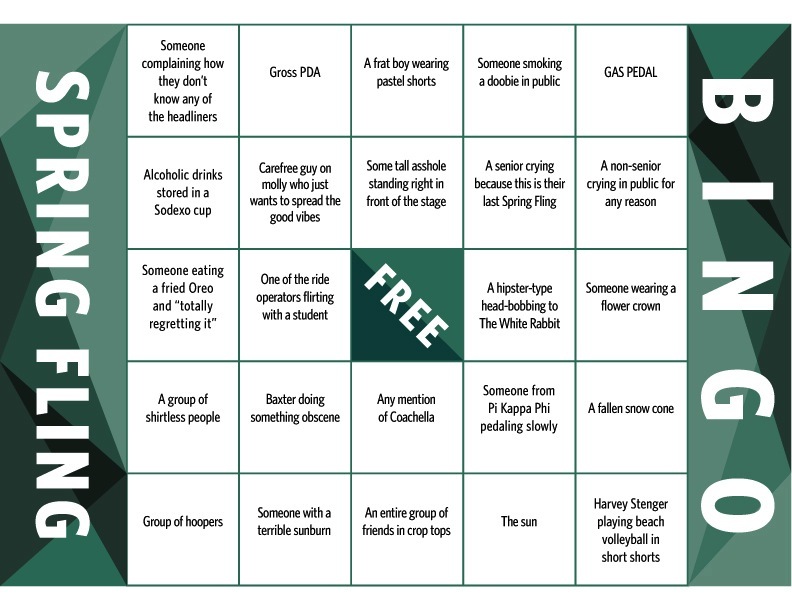 Look to the left for Release’s handy Spring Fling bingo board, or try and complete our bucket list! Here are 10 goals to make this Spring Fling the best one yet.